Microsoft on Thursday announced a new Xbox One accessory that'll allow users in the UK, France, Germany, Italy and Spain to pick up channels using free-to-air DVB-T, DVB-T2, and DVB-C television standards. The 29.99 EUR ($40) adapter, scheduled for launch in October, plugs into a USB port and acts as a digital TV tuner. It's being marketed as an alternative to accessing TV content from a cable or satellite set-top box typically connected via HDMI. Content picked up from the TV tuner will be subject to many of the same capabilities that users already enjoy when connecting a cable or satellite set-top box to the console. For example, users will be able to watch TV in snap mode which allows you to still game while watching a show. I've seen some use this feature while waiting for a multiplayer match to begin. Furthermore, users can pause live TV, access listings in the OneGuide, set favorite channels and even tune to channels using voice commands. Naturally, you'll need to have a Kinect installed for voice-enabled features. Such an accessory looks to be a perfect fit for the console considering Microsoft's living room ambitions. No word yet on when or if the Redmond-based company plans to bring the tuner to other markets. 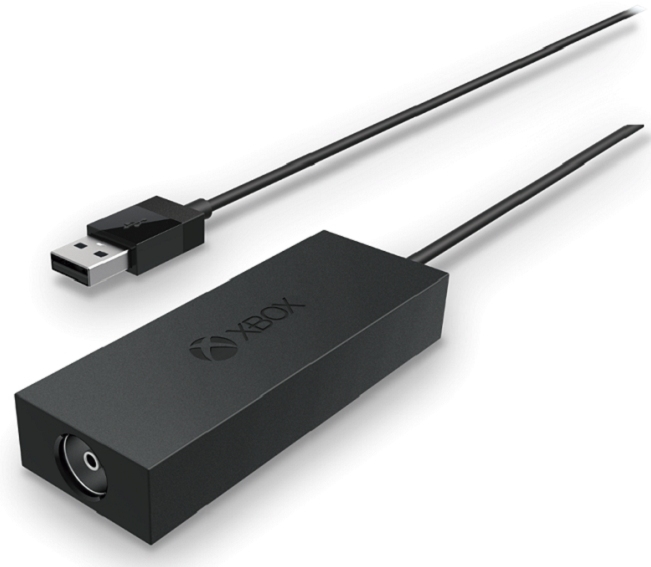 Would you have any interest in a digital TV tuner for your Xbox One? Let us know in the comments section below.